part. Children age 10 and under should be accompanied by an adult. Ongoing workshops meet every Tuesday, 4-5 pm, Community Room, Rockland Public Library, 80 Union St., hosted by Friends of Rockland Library. FMI - Jean Young, children's librarian, 594-0310.
cakes, doubloons, jazz instruments, jester, tricorn hat, and beads. In honor of the presidents, students will explore classic presidential portraits. Catinka Knoth. Participants draw along with Knoth as she demonstrates how to draw a variety of subjects. Winter subjects may include arctic animals such as polar bears, penguins, snowy owls, hares, and foxes; houses in a snowy landscape, and winter sports. Each week is a different focus. 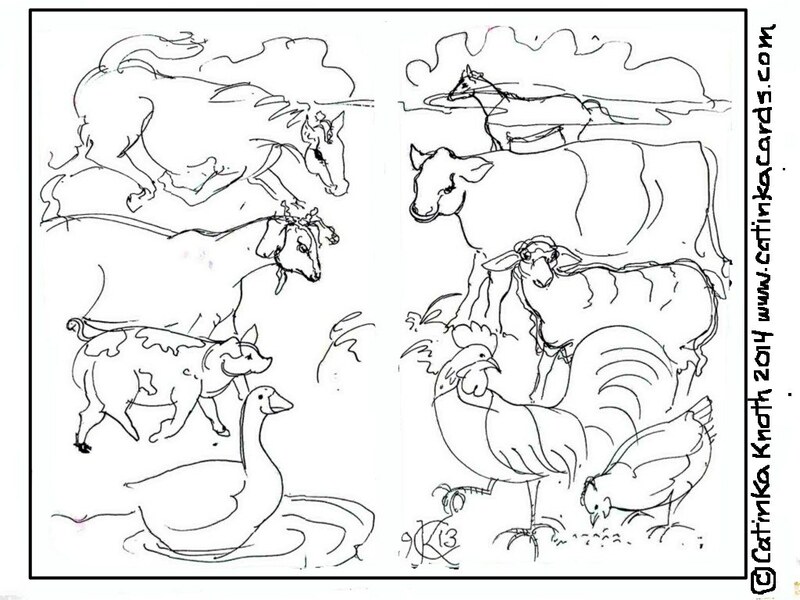 Tuesdays 4-5 p.m. "Let's Draw Winter Animals and Scenes!" Young, children's librarian, at 594-0310 for more information. 11/04 Let's Draw Deer!Bears, Chipmunks, and Squirrels! 11/18 Let's Draw Native American Designs and Motifs! Press Release: Rockland - Children, and those young at heart, will explore fall and Halloween themes in the ongoing drawing classes led by Catinka Knoth at Rockland Public Library, 80 Union St. The "Let's Draw Together!" workshops, geared for ages 6 and up, also welcome adults. Library policy requests that children 10 and under have an adult accompany them. Classes meet every Tuesday from 4-5 p.m. downstairs in the Friends Community Room. October's subjects may include: autumn leaves and trees; pumpkin patches and scarecrows; owls, bats, and cats; haunted houses; and a spooky Halloween with Jack-O-Lanterns, witches, goblins, and more. 10/28 Spooky Halloween with Jack-O-Lanterns, haunted houses, witches, goblins, and more. The workshops, sponsored by local patrons Wendy and Keith Wellin, and hosted by Friends of Rockland Library, are free and open to the public, with all materials provided. Participants draw along with Knoth's demonstrations. She expects students to be able to work independently for the most part. Knoth, a Rockland artist, is known for her watercolors of Maine scenes and animal drawings. Her work may be seen atwww.catinkacards.com. For more workshop information, call Jean Young, children's librarian, at 594-0310. 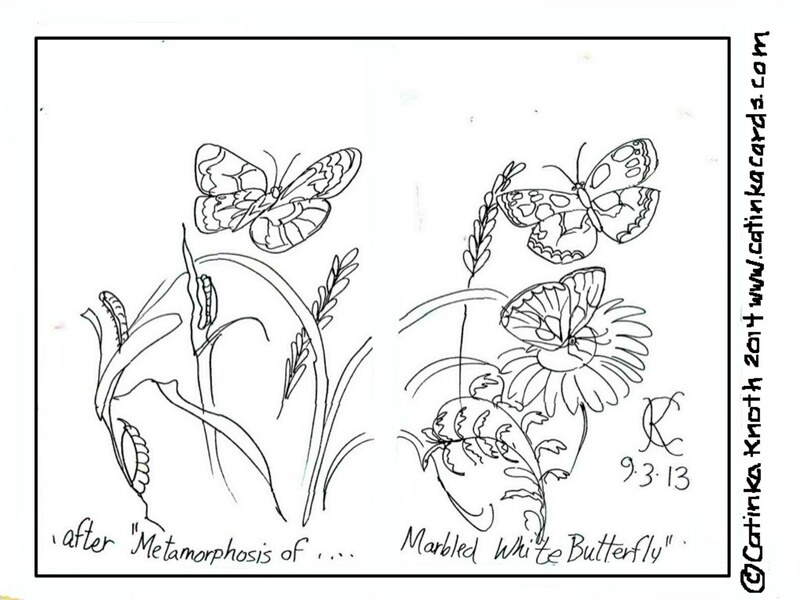 September 2014 kids' drawing classes - butterflies, haying, barnyard animals, apple picking; and coloring pages! 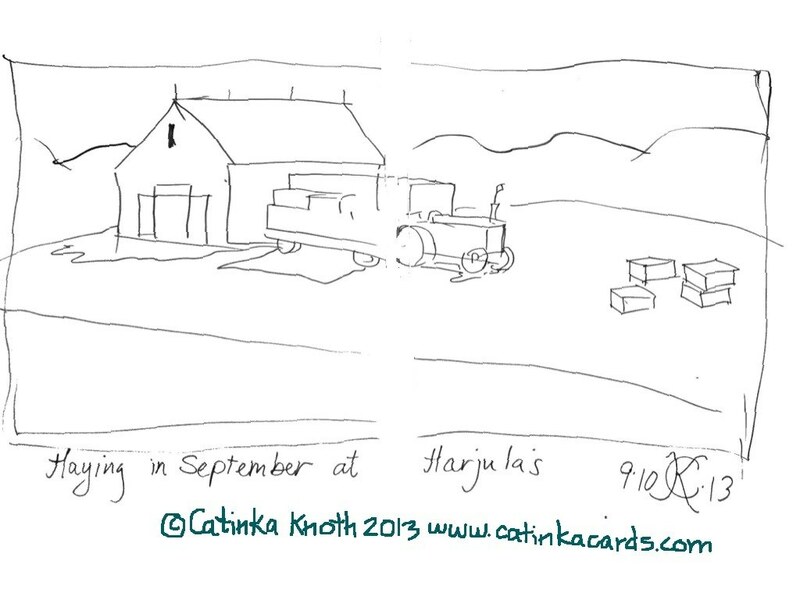 Rockland - Children, and those young at heart, will explore farming, harvest, and seasonal themes in this September's ongoing drawing classes led by Catinka Knoth at Rockland Public Library, 80 Union St. The "Let's Draw Together!" sessions, geared for ages six and up, also welcome adults. The library requests that children age ten and under have an adult accompany them. Classes meet every Tuesday from 4-5 p.m. in the Friends Community Room. FMI - Jean Young, children's librarian, 594-0310. 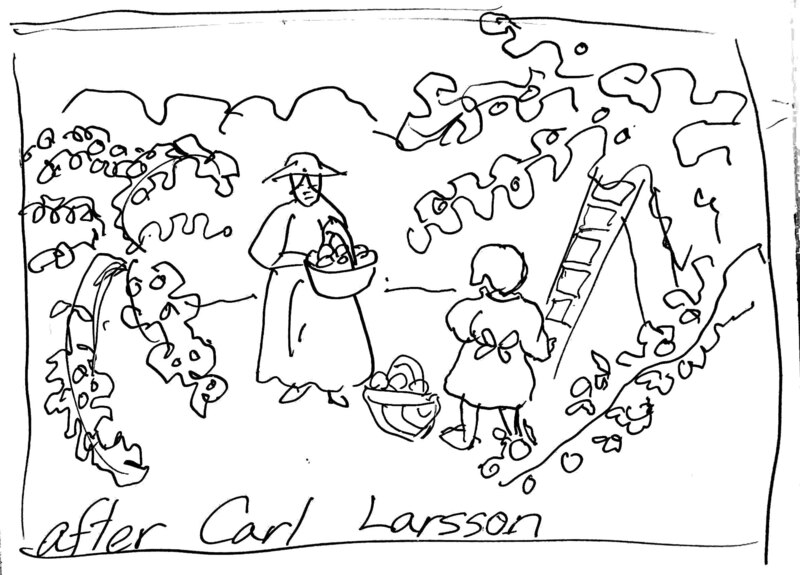 September subjects include butterflies and Monarch butterfly migration; farm scenes of haying and the fall harvest; farm animals such as cows, pigs, sheep, chickens, roosters, geese, and ducks; visits to the apple orchard and apple picking; and September gardens. Each week is a different subject. 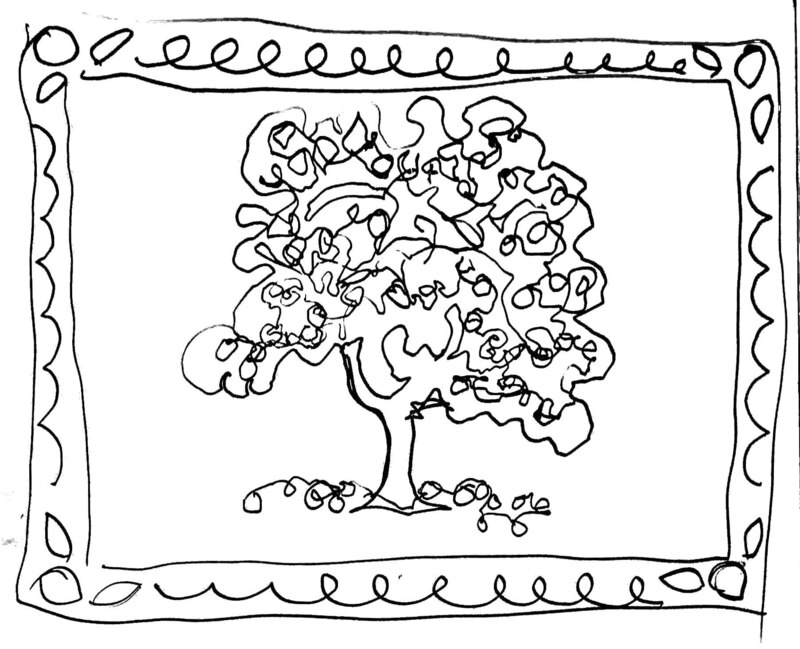 Participants draw along with Knoth and experience drawing in a safe community environment. She expects students to be able to work independently for the most part. Knoth, known for her watercolors of Maine scenes and animal drawings, also gives art workshops for adults at the library. Her work may be seen at www.catinkacards.com. Wendy and Keith Wellin sponsor the children's workshops, which are free and open to the public, with all materials provided. The Friends of Rockland Library host.